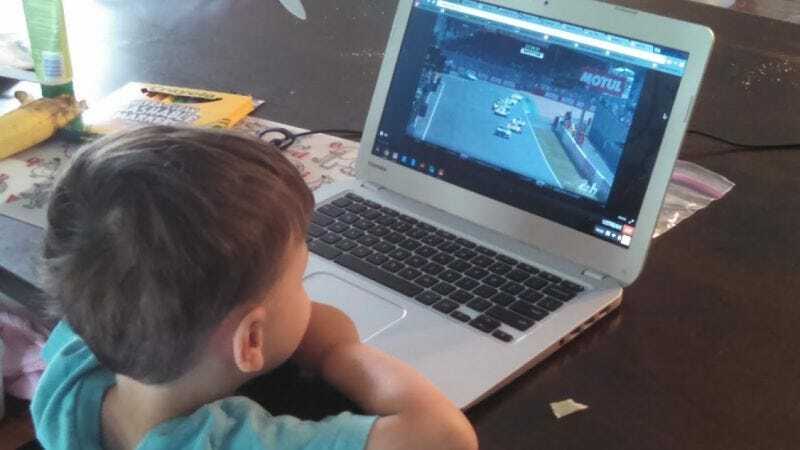 This is the son of our guy Tom McParland, staring intently at a broadcast of the 24 Hours of Le Mans. The kid has it figured out. Without a bit of help or guidance, there are a lot of us who probably wouldn’t have ended up so fascinated with cars. In many cases, the love for cars probably runs in our blood. So, let’s celebrate Father’s Day by sharing stories about a person who likely had a lot of influence on us visiting this website today—dad. Last month, you all had amazing, sometimes tear-inducing stories about how your mothers impacted your love for cars. If I didn’t read every single one of those comments, I probably read about 95 percent—they were incredibly heartwarming, and I had a full face of tears several times. Please, don’t feel pressure to bring anyone to tears with your story after reading that last paragraph. It’s just fun to come together and talk about some relatable memories, and that’s why this post is here. Whether it be just wrenching advice or the entire reason behind your collection of classics, go ahead and tell us your favorite memories of dad. On top of that, if you have kids yourself, how are you passing on the legacy?